If you want to give your vehicle a fresh look, one of the best options is to re-paint it. However, you must know that not any kind of paint will give the unique shine to your car. If you want your vehicle to become lustrous, you should consider applying chrome paint on it. When it comes to giving any vehicle a shiny reflective coating, chrome is always one of the top customization options. Chrome paint is a product designed to provide a mirror-like finish to various surfaces. It is worth noting that there are different types of chrome paint—each one providing a unique effect, depending on how it is applied. Usually, this product is used on motorcycles and cars. Chrome paint should be done professionally, but amateurs can also try it if they want a less expensive way to paint their vehicles. 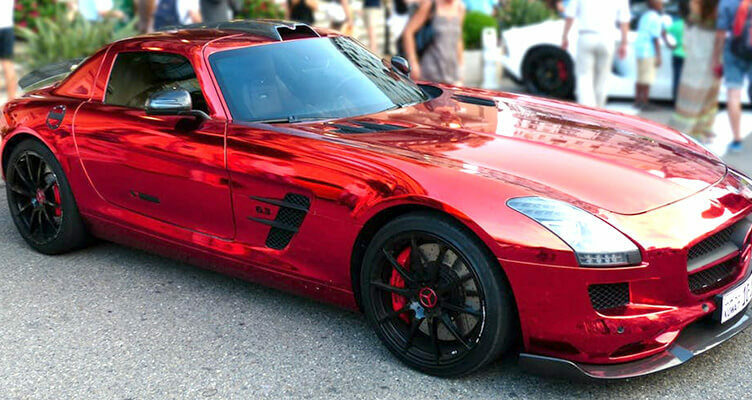 There are kinds of chrome paint that are intended for use on metal or vehicles only. Some of the most popular brands like Mirrachrome can be used on various objects, including plastic, wood, and foam. However, you must know that chrome paint will not immediately provide a shiny metal finish to any object. It will slightly reflect the color of the finish, depending on how thickly you painted the item. So, you should apply chrome paints to surfaces that are already red, silver, or black. You can’t use your fingernail to scratch a car with a chrome paint finish. The product is resistant to scratches. So, there is no way that tree branches or fingernails can scrape through the paint. So, you can keep the stunning looks of your vehicle intact even when you drive it on a road riddled with long tree branches by the side. So, if you are looking for the ideal solution for protecting your car from scratches, opt for chrome paint. Another great thing about chrome paint is that it is formulated with anti-corrosive qualities. It does an excellent job in preventing rust from building up on the surface of your car. So, by spraying chrome paint on your car, you can maintain its characteristic shine for many years to come. You do not need sophisticated tools just to apply chrome paint. In most cases, you can use regular equipment like spray guns to achieve the translucent chrome effect. Moreover, you can conveniently apply it on hard-to-reach spots. Remember to get rid of grime or dirt from the surface of the car before spraying chrome paint on it. Make sure you wash it with a soapy water solution thoroughly before proceeding. Once you’ve cleaned the surface of your car, apply an automobile primer to ensure that the chrome paint will hold firmly. To achieve a long-lasting shine, used jet black as the base coat. Once the base coat has completely dried, you can proceed to apply the chrome paint. We hope this guide enlightened you about the various benefits of chrome paint for your car. If you want to learn more customization tips for used cars from Japan, feel free to browse through our blog posts.